If you suffer from headaches, facial pain, a clicking sound in your jaw, or difficulty opening your mouth, you may suffer from a TMJ (temporomandibular joint) disorder. Fortunately, Dr. Steven M. Balloch offers effective TMJ treatment at his Hartford, CT, practice. The right treatment for you will depend on your symptoms and the causes of your disorder. Your dentist will discuss your various options at an extensive consultation. TMJ disorders, also known as TMD, are relatively common conditions that cause damage or inflammation in your jaw joints. In some cases, the soft discs inside your joints can slip forward, resulting in pain and noise every time you open or close your jaw. In other instances, the muscles and ligaments around your joints may simply become inflamed. Often, TMJ disorders are the result of bruxism, or chronic clenching and grinding of your teeth. These unconscious, habitual actions can put significant strain on your jaw. In some cases, patients can develop bruxism because of the pain and discomfort of TMJ disorders. TMD may also develop because of uneven or missing teeth, which will affect the force and alignment of your bite. Dr. Balloch and his team can provide in-depth evaluation to determine the cause of you symptoms and provide effective treatment. Treatment for your TMD will be completely tailored to your particular needs. Night guards are one of the most common options. The custom-fit device will go over your teeth to retrain your facial muscles and prevent jaw clenching. Your dentist may also recommend lifestyle changes, often in conjunction with a night guard. For example, you may want to eat a soft diet for a few weeks, giving your jaw a chance to rest and heal. It may also help to avoid chewing gum and improve your posture. Once pain starts to subside, you can begin to reintroduce other foods. In some cases, patients may require more extensive treatment. If you have missing or worn teeth, other parts of your jaw will bear much more of the force of your bite. This shift can disrupt your jaw alignment, placing strain on the TMJs. Restorative treatments can redistribute the pressure so that it falls evenly across all of your teeth. Dental restorations, such as crowns, bridges, and dental implants, are some of the most common solutions. In rare cases, you may require surgery. If you have particularly severe TMD, we can refer you to an oral surgeon and collaborate in your entire treatment process. With our outstanding care, you can enjoy an aesthetic smile and a life free of chronic pain. Treating TMD can have significant benefits for your current comfort and long-term health. Appropriate care can alleviate the many symptoms of TMJ disorders, helping you feel better than you may have felt in years. If your TMD is the result of bruxism, a night guard can prevent the need for restorative procedures to repair dental damage. Treatment can also prevent the condition from growing worse and causing widespread discomfort and pain. With our outstanding care, you can enjoy a beautiful smile and a life free of chronic pain. 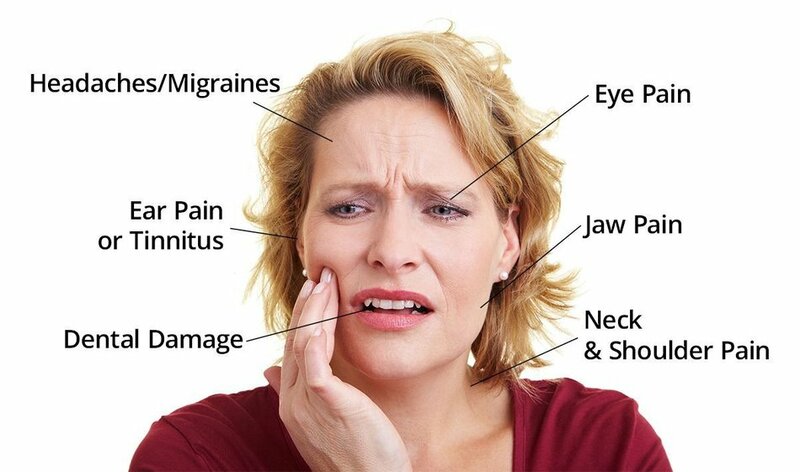 If you are suffering from the symptoms of TMJ Disorder, contact our office today to schedule your first appointment. Our experienced team can provide effective, non-invasive treatment to help you restore your oral health.